Having supported Project Unspeakable from the beginning, Daniel Ratcliffe has provided much research and expertise with information surrounding the assassinations of our four leaders; MLK, JFK, RFK and Malcolm X. He has done extensive research in this area and cites “The Secret Team: The CIA and it’s Allies in Control of The United States”. The Book was written by L. Fletcher Prouty and is about The significance of Prouty’s level and depth of first-hand experience of World War II and direct participation in the ensuing birth and rise of the National Security State. Here is a short excerpt he wrote around the 15th anniversary of the verdict in the MLK murder trial….. It was only 15 years ago…. Fifteen years ago today the jury reached its verdict in the only trial ever held for the murder of Dr. Martin Luther King, Jr. The trial was conducted in the Circuit Court of Shelby County, Memphis, Tennessee. It began on November 15 and lasted fourteen days. The Plaintiffs were Coretta Scott King, Martin Luther King, III, Bernice King, Dexter Scott King and Yolanda King. 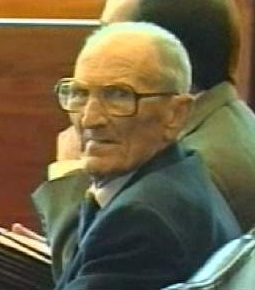 The Defendants were Loyd Jowers and Other Unknown Conspirators. This is the most important trial of the 20th century, and yet most people have never heard of it. It’s an accepted fact that the murder of a family member is a traumatic event for the rest of the family, collectively and individually. When the identity of the people responsible for the murder and the reasons for it are still in doubt, it is even more traumatic. Only when the true, indisputable facts of the murder are finally revealed, can there be the kind of closure that allows genuine healing to take place. This reality is no less applicable when the “family” is the people of a nation. In this light, it’s easy to see why the 1960’s assassinations of JKF, Malcolm X, Martin Luther King, Jr., and Bobby Kennedy were deeply traumatic events for the millions of people who loved and admired some or all of these men. Because the truth about why these four leaders were killed and the role of individuals within our own government in engineering their assassination has long been covered up, denied, and made “unspeakable,” closure and healing have never been possible. Yet Project Unspeakable is not about blame or punishment. Rather, it’s an attempt, through the use of live theater, to not only bring forth the inspiring visions of these four leaders, but also to uncover and bring to greater public awareness the essential truth about their assassinations so that some measure of closure and healing can finally happen. At the same time, we also hope to raise questions and consciousness about, and thus help put an end to, the many covered up, denied, and “unspeakable” crimes of state occurring today. Doing so would mark a enormously positive step toward creating a government that is far more truthful, transparent, and democratically accountable than the one we have now. It is life-giving and life-affirming to learn about and understand such critical facts to increase awareness of our world and provide a more holistic view of our time. In this way, we can navigate life’s journey with a more integrated response ability to all that we discover and explore while we are here. A complete hypertext transcript of the trial is available here on rat haus reality. A good place to start reading this document are the Closing Statements in Volume 14. The King Family Press Conference held the day after the trial is another starting point. Other than the courtroom participants, only Memphis TV reporter Wendell Stacy and Jim Douglass attended that historic trial from beginning to end. Douglass’ article, “The Martin Luther King Conspiracy Exposed in Memphis,” published in Probe Magazine in Spring 2000, is an excellent introduction. See also William Pepper’s talk on February 4 at the Modern Times Bookstore in San Francisco on the release of his book, An Act of State – The Execution of Martin Luther King (Verso, 2003).